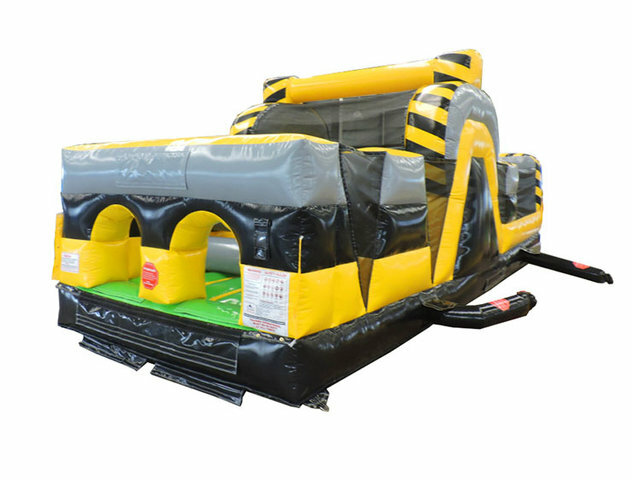 The Toxic Obstacle features 30 feet of high adrenalin fun! Contestants line up at the front and race through the obstacle to see who the champion is! Ready, set, go! 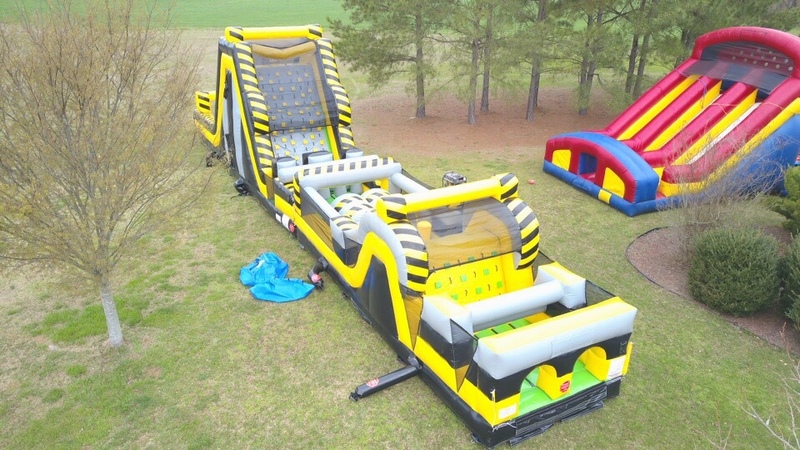 This 31'Lx12'W Obstacle Course starts with double crawl through tunnels to a pole maze then on through double doors to an over/under arch through a second pole maze to a hill climb then slide down to the finish line. Will keep them occupied for hours! -great for church and school events. ***The picture below shows the 30' Toxic Obstacle attached to the optional 18' Toxic Slide. These are seporate pieces and the slide may be ordered attitionally. It can be found under our "Dry Slides" category.